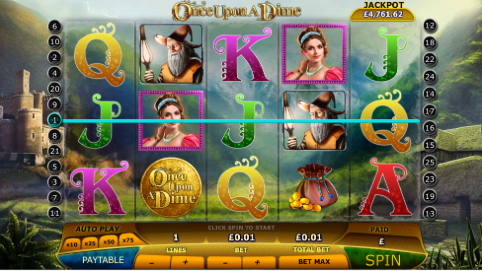 There’s plenty of scope for online slots developers when it comes to designing games with a mediaeval theme. It’s a genre which also crosses over into the realm of fantasy so some of our choices below not only feature metal-clad knights and castles, they also include dragons, magic, legendary characters and the like. Our top five are listed below and these are the ones we think combine looks, playability and entertainment to offer the best mediaeval slot around. Once Upon A Dime may not have a medieval title but it's full of castles, princesses and fantasy landscapes reminiscent of that period. It's from Random Logic and includes a progressive jackpot and up to 50 free spins. Click here for the full review. Robyn is the heroine of this Genesis Gaming slot and of course she's a female version of Robin Hood. Some nice graphics, free spins and a base game bonus feature means this is top class game. Click here for the full review. 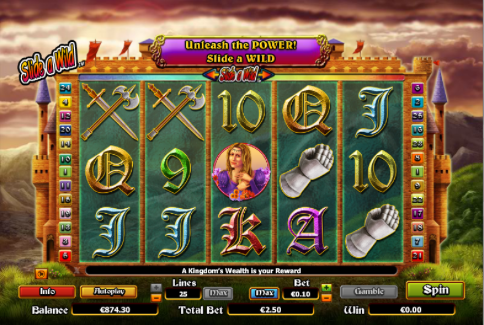 5 Knights is a slot from Netxgen Gaming played against backdrop of verdant landscapes, lofty turrets and dark skies. Players have the opportunity to use the 'Slide A Wild' feature and there's also free spins available. Click here for the full review. 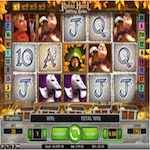 Robin Hood Shifting Riches may well be our favourite medieval slot; it's from Net Entertainment and it's based on the enduring legend of Robin Hood. Check out the 'Shifting Reels' feature and the beautiful graphics to see why we like it so much. Click here for the full review. 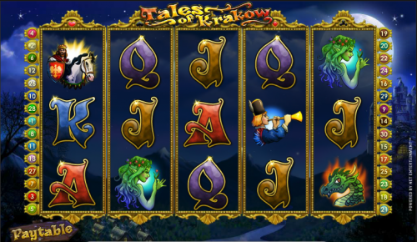 Tales Of Krakow takes us to Poland's ancient capital in an era when knight on horseback roamed the land. Free spins and a dragon-themed bonus game await lucky players so don't delay, check it out today! Click here for the full review.